With over 20 years experience trading internationally, we have been at the forefront of the fish industry and we have lead the way with innovative solutions in the salmon co-product market. With an extensive catalogue of product specifications, we ensure the product meets the requirements of each customer. We can also offer guidance on allergens and diet. We have an excellent reputation for ensuring goods arrive at their destination on time. We offer a wide range of export documentation support including health certificates and certificates of origin. We can offer consultancy services in factory productivity, HACCP implementation, factory design and layout to meet legislation and factory audit support. Our multinational team are able to correspond fluently and process orders from many different countries including Spain, Portugal, France, Germany, China, Thailand and the Philippines. Accredited in ISO 9001:2008. MSC certified. A member of the Cornwall Chamber of Commerce. The supply of raw materials to the top European baby food brands. A range of natural, delicious, nutritious dog treats and pet food products made from fish. An export service focused on helping British food and beverage companies to sell in China. For more information on this special offers, please contact us at info@ideal-foods.co.uk. 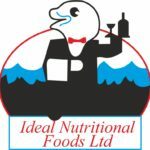 The service provided by Ideal Foods is professional and very efficient. The staff have extensive product knowledge and the companies experience in exporting resulted in a hassle free delivery service. Ideal Foods were able to source and supply a specific product for us at a competitive price. We will definitely recommend them. Really delighted with Ideal Foods. Excellent customer service with consistent, high quality co-products from one delivery to the next. Are you a retailer, wholesaler or distributor? No matter how big or small you are or whereabouts in the world you are based, if you are looking for seafood, we would like to hear from you.